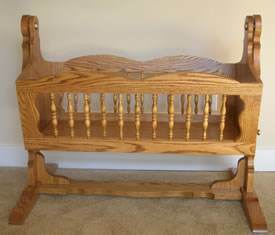 A baby cradle is an heirloom just waiting to be made. 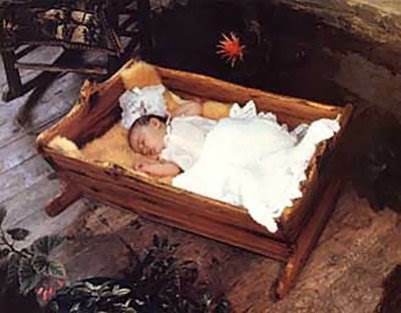 Make a gift with free crib or cradle plans that will be treasured, not only for the coming years, but also for generations. Baby cribs and cradles are easy to customize to blend with existing decor. Wood choice, stain and finish easily make your crib or cradle coordinate with the room's furniture, and the versatility of styles available will allow the craftsman to find a design that fits the family lifestyle. 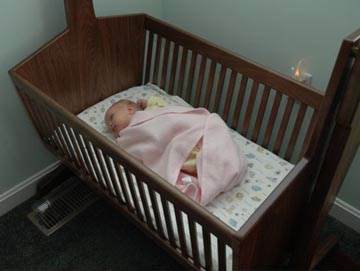 Crib and baby cradle plans should follow the guidelines of the U.S. Consumer Product Safety Commission. They should have fixed sides instead of drop-sides. Following the guidelines ensures safety for baby. With all the choices available for cradles and cribs, there is certainly a style that is just right for that new addition. All you add is a little wood and a lot of love. 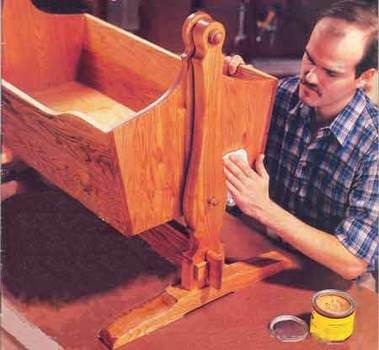 Here are detailed instructions for building a baby cradle out of splated oak to give it old world character. This cradle swings from side to side and will be an heirloom keepsake treasured by generations to come. This is a step by step plan to help you build a baby bed where the bed platform can be raised or lowered. 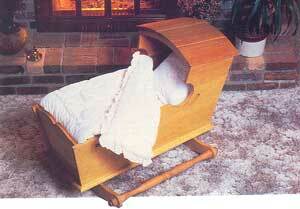 Build a cradle that can be easily moved from room to room; this design keeps baby in full view. 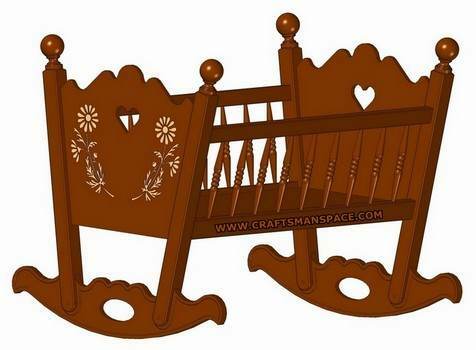 Help make beautiful memories for your family by building this antique looking Early American baby cradle. Build a pendulum cradle that is very basic with simple, classic lines. 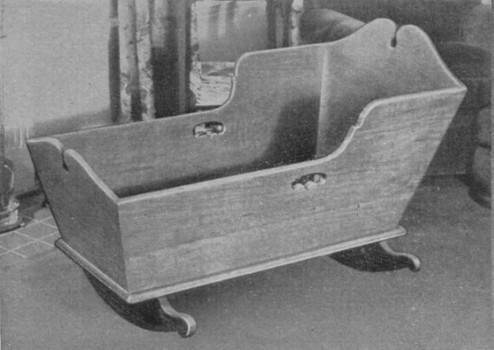 This Early American style baby cradle has attractive turned posts and a feature for rocking or not rocking. 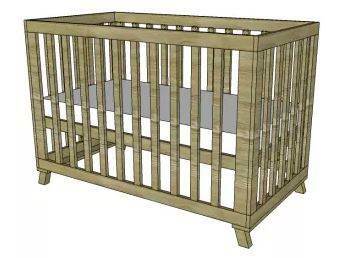 Build this beautiful baby cradle that has a canopy and a bar in order to rock the cradle with just one foot. 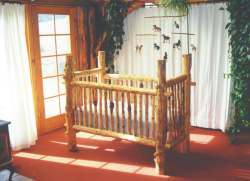 Build this unique baby crib from logs. It will also knock down quickly.